Date of Manufacturer: late 1920s? 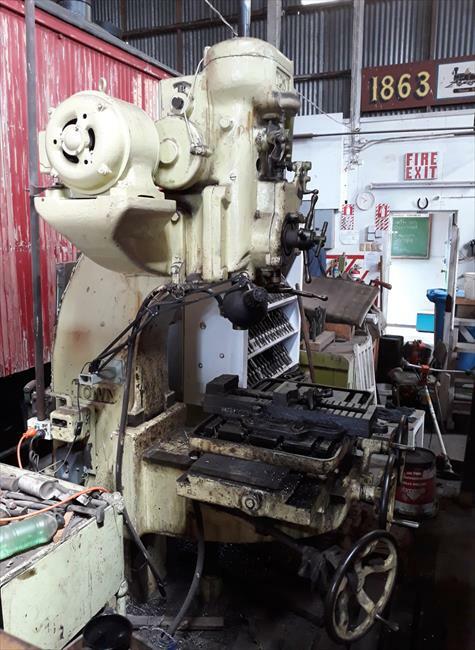 This machine is located at the Ferrymead Historical Park, in Christchurch, New Zealand. I couldn't find any markings except "Town" in a couple of places - but I believe it to be manufactured by Frederick Town & Sons of Halifax, England. If I'm correct, it is one of a number of machines ordered for New Zealand Railways between 1926 and 1929. 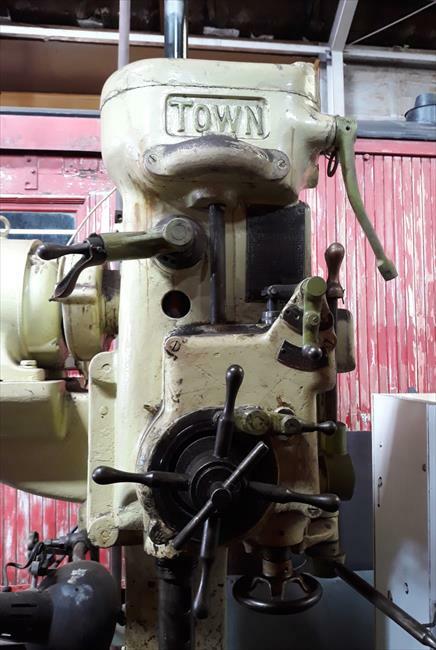 New Zealand Railway were in the process of upgrading their four major railway workshops over that period and ordered at least 10 "Machines Vertical Drilling" from F. Town & Sons in that period, and two 30" models were delivered to the nearby Addington Railway Workshops. 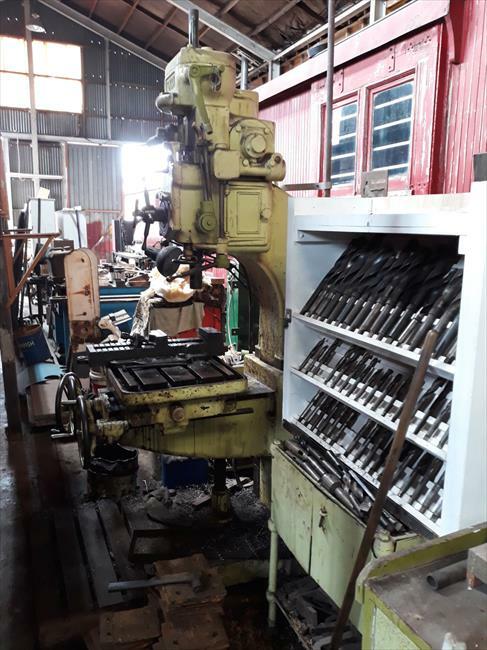 When the workshops closed in 1990, a number of machines were acquired by various groups within the Ferrymead Historical Park. 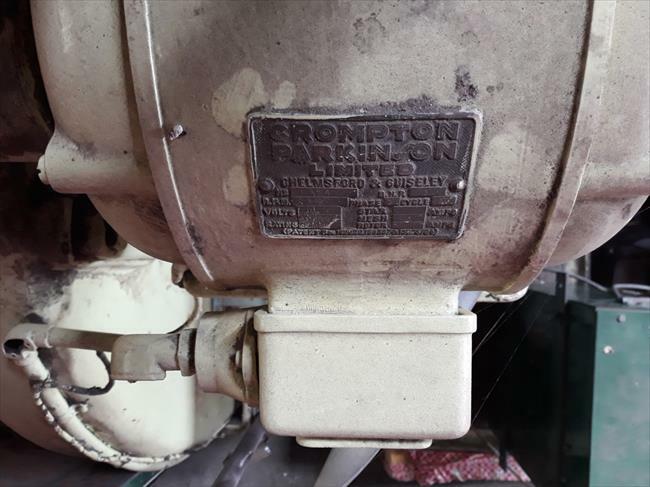 Further support for the country of manufacturer of this machine is the 3hp electric motor by English company Crompton-Parkinson, a company formed by a merger in 1927. 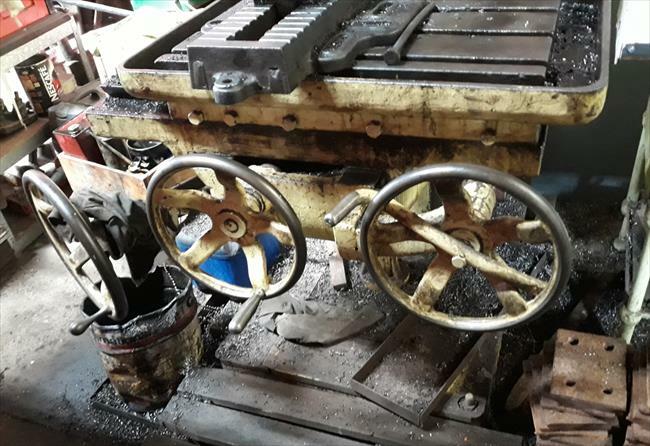 The machine is operable and is used occasionally in the maintenance and overhaul of the museum's rolling stock. Comments: It's location is a little cramped, but here's a pikkie from the LH side. Comments: And from the RH side. Look at that well set out rack of morse taper drill bits! Comments: X, Y & Z table adjustment handwheels. Comments: Front view of the upper part of the machine.